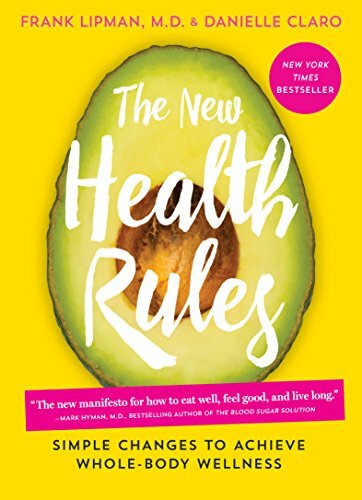 The New Health Rules Simple Changes to Achieve Whole-Body Wellness | Free eBooks Download - EBOOKEE! Posted on 2018-11-15, by nokia241186. Frank Lipman, M.D., is one of the country's top pioneers in the field of integrative medicine. A leading international speaker on health and wellness, he has been featured in Men's Health, Vogue, Men's Journal, Redbook, and Martha Stewart Living. He is a regular contributor to Goop and The Huffington Post, and he writes a daily blog for his own site, Dr.FrankLipman.com. Danielle Claro is a writer, editor, longtime yogi, and former professional dancer. She has ghostwritten two New York Times bestsellers, launched an indie lifestyle magazine called Breathe, and served as special projects director at Conde Nast's Domino magazine. She's currently deputy editor of Real Simple. No comments for "The New Health Rules Simple Changes to Achieve Whole-Body Wellness".